One of the most common reasons that brand consistency begins to waiver is that organisations find it hard to control who is using what marketing documents. 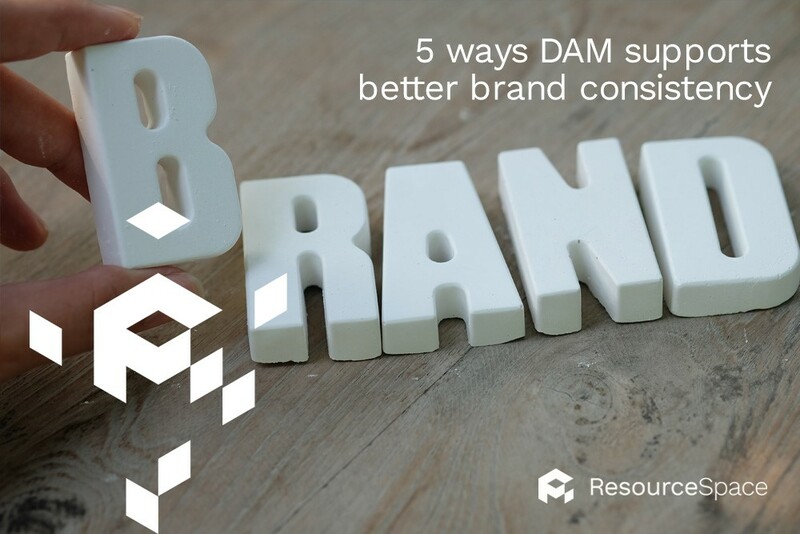 To tackle this problem, many people look to introduce Digital Asset Management (DAM) or BAM (brand asset management) software that can unite and control their resources more effectively. It sounds simple, but you'd be amazed how difficult it can be for organisations to find a filing system that everyone can access and understand. DAM software enables users to download files from a central storage area, and a structured categorisation system means those files can be easily searched for. This way, teams in any location can find the latest documents or campaign materials. The best DAM software is cloud-based; files are stored remotely, rather than on a local server, making it easy for users to access documents from multiple offices. In addition to storing files centrally, DAM software enables personnel throughout your organisation to upload their own content. This makes it much easier to share documentation with others, and ensure the right materials are being used at any point in time. This is particularly useful where there are multiple stakeholders working on a campaign - for instance, one team is shooting the imagery, but another is putting the copy together. Sometimes the problem with brand consistency is that too many people can access and edit files. The right DAM solution will have tailored setting options, so that users can only access specified areas and perform certain functions. By controlling who sees what, you can ensure that key personnel have access to the parts of the system they need - and nothing more. In addition, senior users can set the power to approve uploaded content before it goes live, to make sure that only verified files are added to the system. Implementing DAM software isn't just about utilising the assets you already have more effectively; it's about enabling the smooth running of future marketing campaigns. Whenever you decide to launch a new marketing initiative, once the relevant assets have been prepared, they can be saved centrally and distributed to local marketing teams. If you're an international organisation, the files sent out can also include briefs for localising content, so that variables like language and currency can be changed where appropriate, while still maintaining the overall style and tone. As organisations grow or evolve, so do the number of files - however, often assets just sit on a local server, not being used. An effective DAM solution will enable you to analyse which digital assets are being used and by whom, with filter functions available to dive deep into the results. This can be shared with senior teams or the board, to demonstrate ROI on the marketing collateral you are producing, as well as enabling you to archive files that are no longer being used. Start making your brand materials work harder: invest in market-leading DAM software from ResourceSpace. Our cloud-based dashboard, customisable user settings and sophisticated category tagging system will help you to make the most of assets, while maintaining complete consistency. See how we can help your organisation by signing up for a free trial, or speaking to a ResourceSpace expert.